The craic is going to be as good as the clouting as Ireland gears up for a hot summer of big-time boxing, starting this weekend with Jamie Conlan’s defence of the the WBO Intercontinental Super-Flyweight title against Mexican buzzsaw Junior Granados at Dublin’s National stadium on Saturday night. 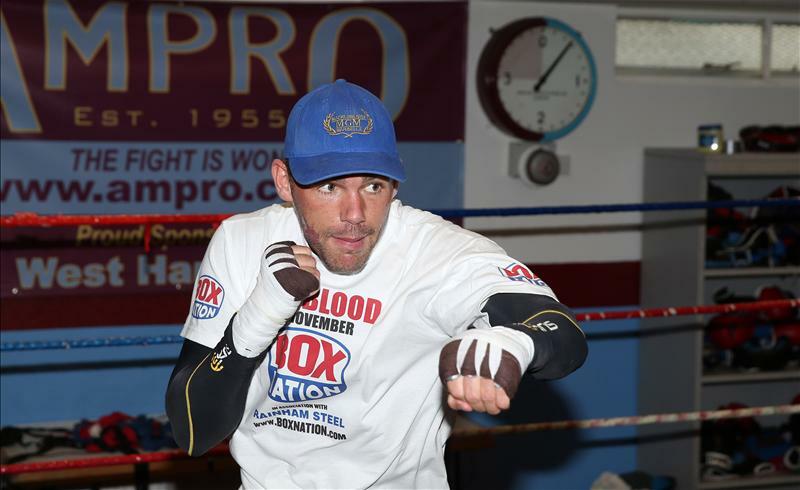 Then, in September, it now looks set for the long-awaited WBO middleweight title clash between new holder Andy Lee and Billy Joe Saunders down in Limerick. Now that should be a fun night. Originally the idea was to do it at a football ground in this country on 5th September but it proved logistically difficult – and very expensive – even though the date would have tied in with the international break, allowing time for the pitch to be set up. But financially it seems better to do it in Ireland on 19 September and while Lee, as an Irishman, will have home advantage, Joe is the sort of character who doesn’t mind where his caravan rests as long as he gets his title shot. As he says, he is a Travelling Man. As is Lee, of course, which makes this fight both fascinating and unique. Thomond Park Stadium where we anticipate the fight will to be held is basically a rugby ground – indeed one of the sport’s most famous venues, with a capacity of around 34,000. It is the home of Munster Rugby, one of the most successful and best supported clubs in the world, though it has also staged international football. The atmosphere is said to be fantastic. It is good that we finally have got this scrap together after all the messing around over a proposed return for Saunders with Chris Eubank Jnr. But we move on and Billy Joe can how concentrate on realising his world title dream. He needs to shake a bit of rust out of his system first so he will box on the Frank Buglioni—Fedor Chudinov WBA World Super-Middleweight title bill at Wembley on 24 July in a ticking-over bout to have him prepared and ready for September. Obviously I am not looking to upset the opportunity of a world title fight. We just want him to get some rounds under his belt. After stepping aside for Lee to fight Peter Quillin, it is now Bill’s time and I really do fancy him for this, though it will be far from easy. But he has developed into a quality fighter with a great chin- and that’s what he will need against a thumper like Lee. Wherever the fight was taking place – London, Limerick or Las Vegas – I would fancy my man to win it. This Saturday night will see a sizzling warm-up for the Limerick showdown. Belfast’s Conlan, 28, who has been somewhat in the shadow of his younger brother, the Olympic medallist Michael, should demonstrate how boxing unites the Irish nation as he will have massive support in Dublin on this BoxNation-televised card. 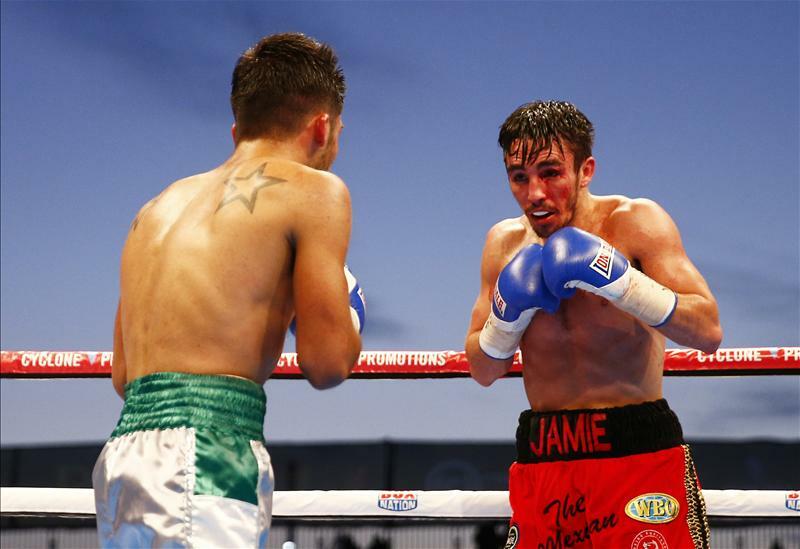 Unbeaten in 13 bouts Conlan has been out of the ring since last September when he lifted the WBO Intercontinental belt with victory over another Mexican, Jose Estrella. Curiously they call Conlan ‘The Mexican’ because of his fighting style. I predict a chilli-hot performance from him. The bill also features rising unbeaten Belfast bantamweight star Ryan Burnett along with Dubliners Declan Geraghty, Brendan Fitzpatrick and Steve Collins Jnr. …Steve’s celebrated dad by the way, is currently working with super-middleweight Buglioni in Dublin to prepare him for his Wembley title shot on 24 July. I am hopeful that the ‘Wise Guy’ and Saunders will add to Britain’s fast-growing list of world champions and that on Saturday week at the Manchester Velodrome Terry Flanagan will make it the first leg of a potential treble for my stable by beating Mexican-American Jose Zepeda for the Vacant WBO World Lightweight title. Like both Saunders and Buglioni, Flanagan has got a tough fight, no doubt about that, but the Mancunian is a good tactician with a decent boxing brain. Fighting in front of his home fans will get a bit more out of him. Zepeda, who has stopped all but three of his 23 opponents, carries the reputation of being a big banger, but he has never made this championship weight before and, while I am sure he will do it, it will be interesting to see how it affects him. This fight comes nearly 10 years to the day since Ricky Hatton sensationally defeated Kostya Tszyu in Manchester and Flanagan is hoping to emulate his Hitman hero. I am often asked why there are so many belts available via the various alphabet governing bodies and I admit sometimes I am as confused as everyone else. It is hard working out which titles are which but in the end it comes down to opportunities for fighters. I don’t make the rules, they are what they are. As a manager and promoter of fighters I have got to do what is best for my men and if I get a title opportunity for them, whatever the label, I will grab it with both hands . I will always do what it takes to gain advantage of the situation. I can understand the fans’ frustration though. I think all fighters wants to win belts – from domestic through to world titles. I am not saying I agree with having a fistful of governing bodies because it is too much, but you need a couple at least because many years ago you had instances of fighters being frozen out when it came to getting a fight for a world title. So you need an alternative rather than a monopoly. Ultimately champions will fight champions; those fights will happen because the business will call for it, but I don’t agree with the suggestion that you should get rid of the belts, as seems to be happening in certain situations in the US with Al Haymon’s Premier Boxing Champions. Boxing has been about champions strapping belts round their waists since prizefighters first pulled on the gloves – even before that! It is what fights are for. There is a lot of pride at stake here. To take it away for whatever reason would be wrong. I don’t agree with it and I don’t think that is likely to happen. Some fights are bigger than the titles on offer – Mayweather-Pacquiao being a prime example – but you do need a structure. Every promoter has got fighters signed, so how else would you get fights made or determine who is the champion? You have to have governing bodies for structure, for medicals, to administer the rules, provide the officials. You need those bodies not just for the belts, but for the administration and to make sure someone just doesn’t take over the sport completely. Winning belts is important to the fighters and fans, while it is also part of the history of the sport. What would you replace it with if you took all that away? You have to have some structure where fighters cannot be frozen out and the best fighters become champions. To not have all the aspects of boxing managed by respected governing bodies would be crazy and the sport would turn into total anarchy. You wouldn’t want the Warren belt, the Golden Boy belt, the Sky belt or the BoxNation belt. In my view that would be disastrous for the game. You’ve got to make the fights happen and by having fighters ranked we do make the fights happen at the right weights and it has worked for years. Read Hubbard’s Cupboard tomorrow on Britain’s oldest surviving world champion who is still in there punching. To subscribe to BoxNation go to www.boxnation.com.